This Thanksgiving season, I was intrigued by a few conversations that covered the complete spectrum of the investing experience. One discussion revolved around getting started. The individual happens to be stationed in Afghanistan with some time on his hands and is wrestling with where to start. I believe I convinced him that he was already ahead of the challenge. Why? Because he’d already begun imitating a sponge — absorbing everything that he could get his hands/eyes on. Read. Rinse. Repeat. I still believe http://www.fool.com is a valuable resource for getting started and referred him to their broker smorgasbord and commentary on how to choose one. The second discussion involved someone very close to me who is now actively funding a 403(b) and is giddy about the potential. We look forward to watching the account balance grow in much the same way that Tin Cup (our retirement plan model portfolio) continues to entertain us. My wife and I and my parents went to see Lincoln this weekend. (1) Daniel Day-Lewis clearly knocks it out of the park and will be nominated for an Oscar, and is a likely winner. (2) If you’re going to see the movie, I’d recommend googling or spending a few moments with Wikipedia and the setting, characters and situation surrounding the passage of the 13th amendment. Tommy Lee Jones as Thaddeus Stevens is also worth the price of admission and a true courageous pioneer. (3) If you believe that bipartisan rancor and disagreement is something new on Capitol Hill, you’re wrong. Go see the movie. Lincoln was voracious reader. 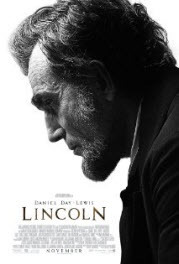 There’s also a poignant scene in the movie where Lincoln urges simplicity while pondering a major decision. He shares “Occam’s Razor according to Euclid” with a youthful engineer and the telegraph operator, a powerful reminder that sometimes the best solutions are the glaringly simple. And from a couple of young people getting started to a group of experienced long-term investing advocates who sleep pretty well at night, we’re grateful for the reminder. And the optimism about what the future holds.